United States Air Force Veteran sticker - $10.00 : Bob Hoyts Classic Inspection Stickers, Add a Final Touch to your Restoration! 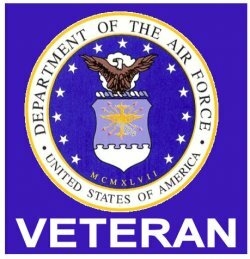 This approximately 3 inch by 3 inch window sticker signifies a US Air Force Veteran. Our thanks to Steven Hoyt, Rochester Indiana for providing the original sticker.